The hinge mortising jig takes the hassle out of cutting a mortise for a hinge and just about makes it automatic. Worried about sizing the mortise to match the hinge? Don’t. 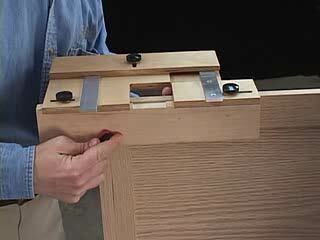 Simply use the hinge to set the jig for a perfect fit.